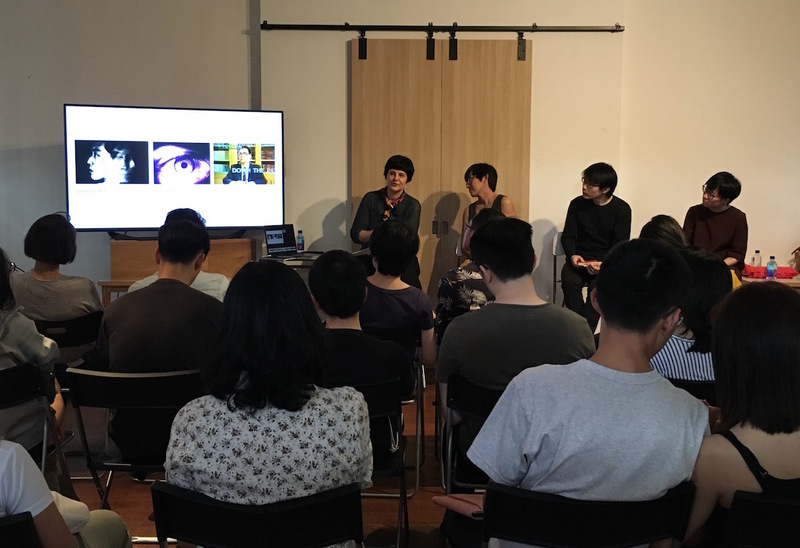 Objectifs hosted a panel discussion on Experimental Cinema in Southeast Asia on 19 Jan 2019 in conjunction with our ongoing exhibition Dance of a Humble Atheist by Toh Hun Ping. Read on for a recap of the panel which featured artists Toh Hun Ping and Shireen Seno, and curator Silke Schmickl. Early experimental cinema started with visual artists, who sought to relook reality and represent it in a different way through techniques of distortion, recomposition and abstraction. From its origins up till today, a sense of community has been integral to experimental filmmaking. In its early days, it was also contingent on access to machines and technology, which were at the time expensive. Thus, in the 1960s-70s, Asian artists who used the moving image in experimental ways often had access to equipment and mass media such as Chang Chao Tang (Taiwan) who borrowed his brother’s camera as a youth, Rajendra Gour who worked as a film editor at Radio and Television Singapore (RTS) and Ellen Pau (Hong Kong) who worked as a radiographer. 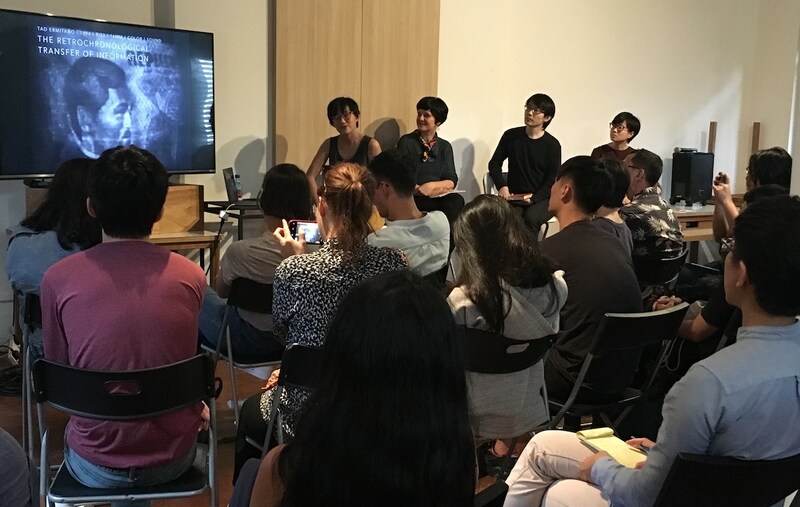 In the late 1980s and early 1990s, cultural institutions like the Goethe-Institut organised workshops in countries like the Philippines and Thailand, which further spread awareness of experimental filmmaking. In Singapore, institutions like the National Museum’s Singapore Cinémathèque and The Substation organised events like the Experimental Film Forum and the Indie Doc Fest. The sense of community has diluted as affordable digital technology allows artists to work independently. Though screening opportunities like festivals have proliferated, forming sustainable connections is harder. Major artists have moved away from single screen productions and explore new filmic approaches with a strong interest in installation art or immersive experiences, often presented outside the country. Examples are Ho Tzu Nyen, Charles Lim, Sookoon Ang, Ming Wong and Sherman Ong. Film students today are trained to perform well in the commercial industry and there is less production of experimental films that render personal visions. There is a strong interest in Singapore in immersive moving image but it tends towards spectacular rather than critical entertainment, such as light projections on building facades. The stronger presence of moving images in art institutions like NTU CCA Singapore, the National Gallery Singapore and the Asian Film Archive can be read as a positive development but institutionalisation also poses challenges, especially when experimental works are viewed through a “professional framework”. Indie art spaces like Objectifs, soft/WALL/studs and Grey Projects do add some diversity and balance in the overall landscape. The Kalampag Tracking Agency is an ongoing curatorial initiative by Shireen Seno and Merv Espina, who sought to do away with a historical approach to the experimental film and visual arts communities, which had always been rather separate, in the Philippines, in addition to being divided by generation as well. In searching for, collecting and curating works by Filipino and diaspora filmmakers, they sought to “navigate the uncharted topographies of Filipino alternative and experimental moving image practice”. In the late 1980s and early 1990s, the Goethe-Institut ran a series of experimental filmmaking workshops in the Philippines, imparting techniques like optical printing, direct animation, using found footage and painting on film to local artists and filmmakers. Politically, this period marked the change from the Marcos dictatorship to democracy under Aquino, and the films created in these workshops were often irreverent and playful. Shireen shared that since its inception, the programme has been presented in various forms and spaces in the Philippines and overseas. Along the way, opportunities have emerged to restore some of the original material with the support and expertise of other institutions. Read more about each of the films in the Kalampag Tracking Agency programme here. Toh Hun Ping, the artist behind Dance of a Humble Atheist, describes experimental filmmaking and research on the 20th century history of filmmaking in Singapore as his twin passions. He studied in the video art programme at LASALLE College of the Arts, where his early works were “non-narrative, personal, subversive and breaking conventions”. He made films without the camera, and used all the moving image media he had access too, from VHS, to filmstrips and slide film. His work involved repeated degradation of the footage, the effect was also seen on the film’s audio, adding an additional layer to the work. He has since moved on to more abstract experimental films. Dang Anom, directed by Hussain Hanif: Hussain Hanif first worked as a film editor at Cathay-Keris Productions and later became a director. His directorial debut was in the popular film Hang Jebat(1961). He next directed Dang Anom (1962), which is about a beautiful, engaged young woman who is forced to be the Sultan’s concubine. In a musical sequence (see 45:49 to 49:15). Eyes (1967) by Rajendra Gour: This is “an experimental film that explores the pain and suffering in the world caused by a lack of understanding amongst mankind. All of this is viewed through the “eyes” of the people of the world”.